The Never Forget Pin has been modeled off of our Never Forget Coin. 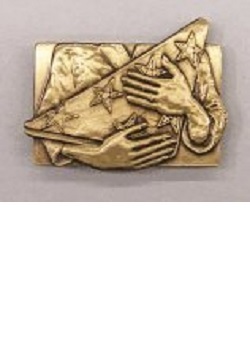 These beautiful pins are antique gold plated and show a family member clutching a folded flag. From India Rackley of Pickens, South Carolina on 9/23/2016 . Good craftsman ship and the visual message is powerful.